Chances are, the last thing you think about is your furnace. You simply expect to be comfortable. That’s why Rheem is the best choice you can make. Rheem offers some of the finest heating solutions in the business. Rheem has top-quality, innovative products that use the latest technology. Don’t have a Rheem heating system? That’s OK! Efficient Heating & Cooling can service all types of heating systems. Our technicians are skilled at identifying and fixing problems on all makes and models found on the market. We are even comfortable working on systems that other contractors won’t touch. We offer 24-hour emergency service when comfort in your home or business matters most. It’s important to hire an HVAC company you can trust. We’ve worked with residential customers, commercial building owners and on new construction and major renovation projects. New equipment installation – we’re proud to be part of The Rheem Team! 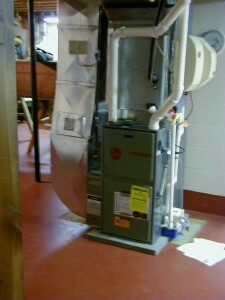 For more information and new furnace installation or furnace repair, give us a call at 216-663-6462!